In what is likely to be the most entertaining of this weekends Wildcard matchups, The Green Bay Packers travel to play the Philadelphia Eagles in Lincoln Financial Field. The Packers come into the game as the 6th seed in the NFC but will not be daunted by Michael Vick and his high flying Eagles. In fact the Packers should be pretty confident of upsetting the Eagles. The Packers limped into the playoffs as a wild-card team largely due to their roster being decimated throughout the year with injuries. The Packers have lost a league leading 13 players to Injured Reserve for the year including key starters such as talented tight end Jermichael Finley, crushing linebacker Nick Barnett and powerful running back Ryan Grant. The Packers have continued to lose players throughout the season as they lost their best coverage linebacker Brandon Chillar and backup tight end Spencer Havner this past week. While Aaron Rodgers also missed crucial snaps during the season. 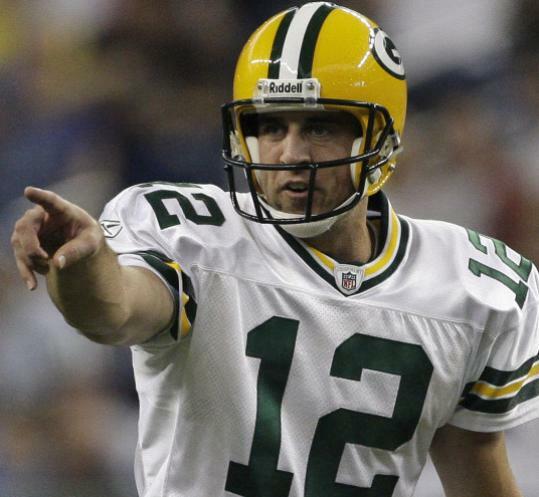 Rodgers is healthy now and has shown the ability to carry a one dimensional offense on the back of his arm strength. Rodgers has acclimatized to losing two of his best playmakers(Finley and Grant) by looking to the old heads such as Donald Driver and Greg Jennings at receiver, complimented by breakout performances by James Jones and Jordy Nelson. Rodgers ability to spread the field and complete short passes to receivers that can run with the ball has compensated for the Packers inability to consistently run the ball. Brandon Jackson has been solid but unspectacular at running-back in the place of Grant but the Packers should look to take advantage of a beaten up Eagles' secondary. The Eagles are missing two starters from their secondary coming into the season. Their starting rookie safety Nate Allen injured a knee and is out for the year while veteran cornerback Ellis Hobbs is likely to retire because of a serious neck injury. Hobbs' presence will not be a crucial miss to the Eagles because Dimetri Patterson had pushed him for his starting spot earlier in the season. However Allen had been a constant in the team throughout the season recoding 4 turnovers, 2 sacks and 8 pass deflections. The Eagles will not be able to matchup to the talented receiving corp of the Packers and will look to Asante Samuel's knack for coming up with interceptions in order to swing the momentum of the game. Not many teams have been able to match up to the Philadelphia Eagles offense this season. The Packers have already experienced the explosiveness of Michael Vick during a week 1 matchup that finished 27-20 in favor of the Packers. Vick did not start the game therefore the Packers did not gameplan for him, this weekend will be much different. In week 1 Vick completed 66% of his passes for 1 touchdown while adding a huge 103 yards on 11 carries. Vick totaled nearly 300 yards in just two and a half quarters and led the offense to 17 points. Even though the Packers defense is not as good personnel-wise they should be able to contain Vick better than they did week 1 with a proper gameplan. Unlike his time in Atlanta, the first step to stopping Michael Vick is taking away the passing game. The Packers have a very good pair of cornerbacks who should be able to matchup to the supremely talented Jeremy Maclin and DeSean Jackson of the Eagles. Charles Woodson is the Packers number 1 corner but he is likely to take Jeremy Maclin allowing the younger and faster Williams to try to limit the big plays of the best downfield threat in the league, Jackson. The Packers play a 3-4 base defense that will allow them to push the Eagles pocket against the pass and maintain gap integrity not giving up any lanes for Vick to escape through. The three defensive linemen and outside backers will crowd the line of scrimmage and keep Vick contained. If Vick does escape the initial surge of the Packers defense he will likely have plenty of room to fly as Dom Capers is a blitz happy defensive coordinator. The Packers defense is playing the best football of any defense coming into the playoffs. They are ranked 2nd for the season as a whole and have kept the opposition below 20 points in 4 of the past 5 games(31 points to the Patriots in Foxboro). This game features two of the most dynamic and explosive offenses in the league when fully healthy. The Packers may not be as able as the Eagles because of injuries to key players but Aaron Rodgers reputation as one of the best quarterbacks in the league will stop them from missing a beat. The Eagles may have a slight edge offensively but there is a vast difference between the quality of the defenses that will ultimately decide this game.